Want to work with the best ACT tutors? StudyHall's ACT Prep Tutors Will Prepare You. ACT Prep Tutoring - Contact our Team. Are you preparing for your ACT exam? If you're searching for help with your ACT exam, you've found our ACT prep tutors! StudyHall's team of professionals includes ACT exam, private test prep tutors who are trained to teach you how to master your ACT mathematics, reading, science and writing sections. Whether you need help with the ACT math, reading, or want inside test prep strategies to increase your ACT score above a 30+, StudyHall's expert tutoring will make it happen for you. Your ACT Exam is the most important exam you'll take in high school. If you score a 33+ or higher, you can gain admission to top 10 colleges. Would be amazing, right? Well, read all the way to learn how we can help you. How you can start preparing for your ACT Exam with tutors who understand how to get you into the top 1% on the real ACT test... read all the way. All of our ACT tutors have scored in the top 1% for the ACT exam. This means that they've scored a 33+ or higher on the ACT and have been professional tutors for at least 12 months prior to beginning their work as ACT tutors for StudyHall. In addition to scoring in the highest marks (and often with perfect exam scores), StudyHall's ACT prep tutors help build custom study plans, write some of our practice ACT questions, and were part of publishing the now bestselling book on college admissions: "Admit You!" We're proud of our ACT tutors and can't wait for you to have the opportunity to work with these outstanding individuals and educators. our act prep tutoring works, 100% guaranteed. ACT EXAM RESULTS: OUR Tutoring IS PROVEN to increase ACT Scores by 8+ points. We're excited to release our first public data about the increases in ACT exam scores from students in our prep program. ACT Prep Exam Results. StudyHall's ACT preparation tutoring is ranked #1 nationwide. Ready to Get Accepted to the Best Colleges? Reserve Your ACT Prep Program Now with the #1 Program. ACT Prep Tutors. Sign up above and we'll have an ACT prep tutor ready for you within 48 hours. (1) contact our ACT private tutors via phone or contact form below; or signup for ACT Prep tutoring with this link here. (3)once payment is received for your ACT prep, we'll get started with your ACT preparation within 48 hours, either in-home (one-on-one private) or online. With StudyHall's ACT tutoring, you'll not only have the opportunity to work with elite, top 1% tutors, but you'll also get a custom study plan, all books and materials for the ACT, and 24/7 support to ensure your success. All-Access to "Collection of Best On-Demand Prep Videos." "Most in World" Real Practice Questions, including top prep books and simulated actual exams. All-Access to Best School Rankings. RESERVE YOUR SPOT NOW. LIMITED AVAILABILITY. Our shared goal: help you gain admission to the top 10 schools in America. More than 120+ Admissions Experts & 180+ Private Tutors. 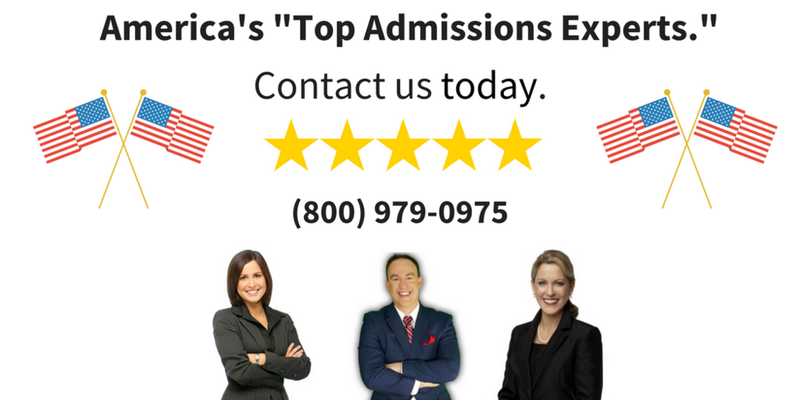 Experts in Boarding School, College and Graduate Admissions. Family Owned and Operated for 21+ Years. Contact our Ivy League Admissions Consultants and Experts. The key to our admissions consulting program is the professional expert admissions officers who have written extensively on concepts such as how to write admissions essays, planning for admissions, and the rankings of the best private boarding schools, colleges and medical schools in the world. Another offering from StudyHall is our fly-in, international tutors who live with families and serve a variety of expatriates who live abroad with private, in-home tutors. StudyHall’s website was built by Vail Networks, a leader for website development and digital marketing. Call (800) 979-0975 to learn more about StudyHall’s private tutors and admissions experts. All images herein are copyright© of StudyHall, 2019. StudyHall is a private test prep and admissions consulting company for applicants and candidates to Ivy League and top-ranked Boarding Schools, Universities, and Graduate schools. StudyHall’s private tutoring program and test prep courses help increase exam scores so students can get accepted to the best boarding schools, private schools, best universities, and best medical schools (M.D.). StudyHall's admissions experts offer admissions essay help, application review, test prep consulting, and interview preparation to ensure students applying to top programs and educational institutions from boarding schools (SSAT and ISEE Prep), Ivy Colleges (SAT, ACT prep) to medical school admissions (MCAT prep).